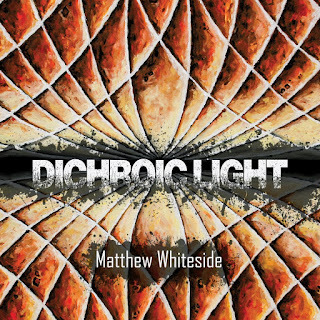 Matthew Whiteside is a young composer, originally from Northern Ireland and now based in Glasgow. His music often uses live electronics and this new disc features Matthew Whiteside playing electronics alongside instrumental contributions from Emma Lloyd, viola, The Robinson Panoramic Quartet (Anita Vedres, Robin Panter, Kate Ellis, Malachy Robinson), Abby Hayward, cello, Joanna Nicholson, bass clarinet, Red Note (Ruth Morley, Jane Atkins, Rick Standley, Tony Moffatt, Robert Irvine, Simon Smith) and the Aurea Quartet (Liam Lynch, Stewart Webster, Christine Adams, Abby Hayward) in a selection of instrumental and chamber music, Ulation, Quartet for violin, viola, cello and double bass, Solo for Viola d'amore and Electronics, Dichroic Light, 'Well, Well, Well', Three Pieces for Bass Clarinet and Electronics, The World in an Oyster.An Oyster in a World, Quartet No. 3. One theme which seems to run through the pieces on the disc is Matthew Whiteside's fascination with unison and repetition, not that the music is minimal but much is concentrated as Matthew Whiteside explores what happens when pitches vary from unison and then return. His use of live electronics is often quite discreet, and there were times when it was difficult on first hearing to work out what was live and what was not. He uses the electronics to enhance the live instruments, for instance in the title track Dichroic Light he aimed to explore the resonances and overtones in the cello soloist. Ulation is played by Emma Lloyd, viola, and Matthew Whiteside, electronics. It grows out of an insistent single note and is very much an exploration of texture and timbre. The Quartet for Violin, Viola, Cello and Double Bass, played by The Robinson Panoramic Quartet ( Anita Vedres, Robin Panter, Kate Ellis, Malachy Robinson ), similarly grows from nothing, starting with a single repeated note. Rather dark and spare, the piece uses ostinatos, throwing lyric motifs around with other effects, before evaporating to a single note. The Solo for Viola d'amore and Electronics exploits the instrument's chordal ability, combining these with plucking and interesting effects, though atmospheric and spare. The material is a bit obsessive about the interval of a semitone. Dichroic Light is a three movement work for cello and electronics played here by Abby Hayward, cello, and Matthew Whiteside, electronics. The opening movement is meditative yet insistent as the musical material wanders round the unison, exploring changes of timbre. The second movement returns to this material, but faster creating a sort of hypnotic stasis punctuated by moments of drama. The final movement moves from the dramatic to the contemplative, with insistent repeated notes and some effective multi-tracking. Well, Well, Well is played by Ruth Morley, alto flute, Jane Atkins, viola, Rick Standley, double bass, from the Scottish contemporary music ensemble Red Note. The texture and musical material is all built from different types of repeated unisons with little extra twiddles and ostinatos. Three Pieces for Bass Clarinet and Electronics, played by Joanna Nicholson, bass clarinet, and Matthew Whiteside, electronics, starts from nothing, exploring subtle changes in pitch with the odd extra comment from the bass clarinet and the electronics echoing the clarinet or vice versa. The final movement is a thoughtful exploration of extremes of pitch and changes of timbre. The World in an Oyster.An Oyster in a World begins in almost the same mood as the previous piece. Played by members of Red Note, Tony Moffatt, violin, Robert Irvine, cello, Simon Smith, piano, again we have extremes of pitch, and unisons with three different instruments - three different timbres, developing with increasing strenuousness round unisons. The final work on the disc is Matthew Whiteside's Quartet No. 3, a single movement work for string quartet and electronics. It is a rather dark, almost obsessive piece which makes a strong finish to the disc. 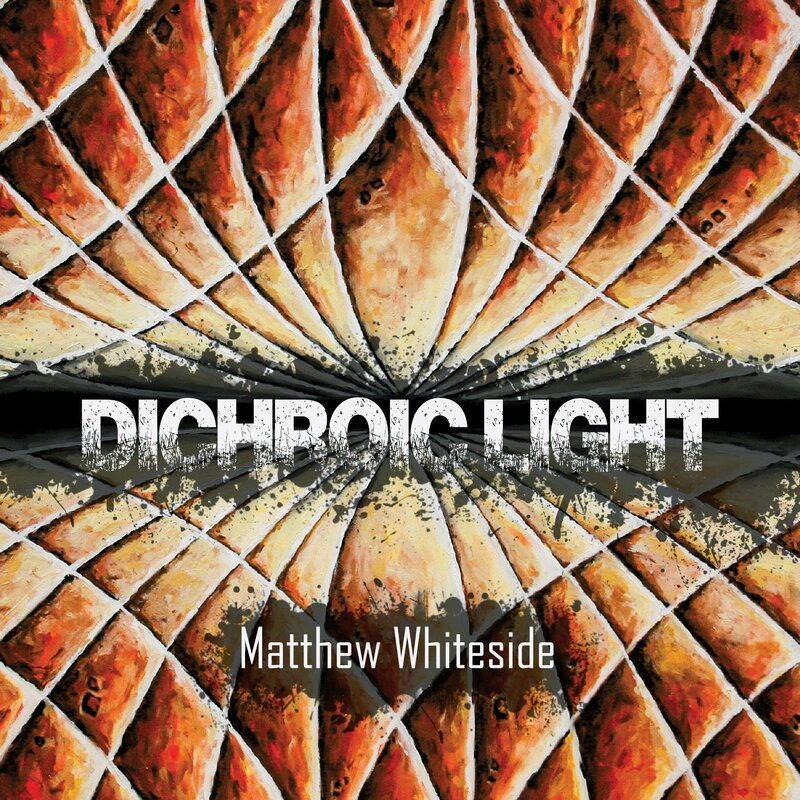 The disc is very economical with its descriptions of the music, and with Matthew Whiteside leaving the works to speak for themselves, though if you explore his website there is much information. Matthew Whiteside has a very distinct and intriguing voice, and this disc is a fine presentation of some of this thoughtful chamber music in fine performances.